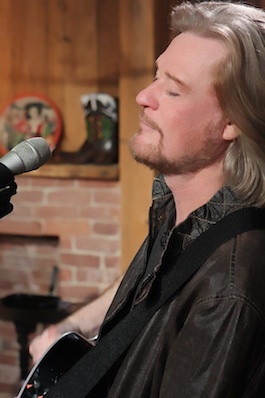 Daryl Hall started Live From Daryl’s House, the free monthly web show in late 2007, after having the idea of “playing with my friends and putting it up on the Internet,” and the show has since garnered acclaim from Rolling Stone, SPIN, Daily Variety, CNN, BBC, Yahoo! Music and influential blogger Bob Lefsetz, who have cited Live From Daryl’s House as a perfect example of a veteran artist reinventing himself in the digital age by collaborating with both established colleagues and newer performers. Past episodes of Live from Daryl’s House have featured a mix of well-known performers like Smokey Robinson, The Doors’ Robby Krieger and Ray Manzarek, Nick Lowe, K.T. Tunstall, Todd Rundgren, Gym Class Heroes’ Travis McCoy, Fall Out Boy’s Patrick Stump, Finger Eleven’s James Black and Rick Jackett, the Bacon Brothers and country star Jimmy Wayne, along with newcomers such as Philly soul singer Mutlu, Canadian techno-rockers Chromeo, MySpace pop-rock phenom Eric Hutchinson, Cash Money rocker Kevin Rudolf, Wind-up Records’ Chicago rockers Company of Thieves, Bay Area singer/songwriter Matt Nathanson, Charlottesville, VA’s rising Parachute, Chicago rock band Plain White T’s and highly touted tunesmith Diane Birch. Daryl Hall is a modern-day renaissance man, an inductee into the Rock and Roll Hall of Fame with the best-selling duo of all time, the star of his very own award-winning web series-turned-TV staple, Live from Daryl’s House, as well as a successful venue owner with “Daryl’s House,” a restored venue and live music space in Pawling, N.Y. Since forming his partnership with John Oates in 1972, the Philadelphia soul man is still achieving career milestones more than four decades later, continuing to perform with his band to sold out venues everywhere. It’s been quite a few years for Hall, including the opening of “Daryl’s House,” a combination world-class restaurant and performance venue, which he kicked off with a live-streamed Daryl Hall & John Oates concert on October 31, 2014 . The popular venue also serves as home base for his multi award-winning Live from Daryl’s House. The show, which began as a “light bulb” moment for Hall when he launched it in 2007 as a free webcast, has set the standard for artist-initiated projects. The groundbreaking series provides a mix of legends and the next generation of superstars. Previous episodes of Live From Daryl’s House have featured a diverse mix of veteran and new performers from rock, soul, country and R&B including rock legends Sammy Hagar, Joe Walsh, Cheap Trick, Kenny Loggins, Todd Rundgren, Nick Lowe, Dave Stewart and Billy Gibbons of ZZ Top; soul and R&B artists The O’Jays, Aaron Neville, Aloe Blacc, Kandace Springs, Elle King, Wyclef Jean, Smokey Robinson, Cee Lo Green, Booker T & The MGs, and Sharon Jones; big-league singer/songwriters such as Ben Folds, Rob Thomas, Jason Mraz, Gavin DeGraw, Goo Goo Dolls’ John Rzeznik and Fall Out Boy’s Patrick Stump; country artists such as Shelby Lynne; and has helped break new acts like Fitz & The Tantrums, Grace Potter & The Nocturnals, Neon Trees, Johnnyswim, Parachute and Anderson East. Daryl Hall has come a long way, and he’s still got plenty of mileage left in a career that’s taken him from the streets of Philadelphia to the halls of the Rock and Roll Hall of Fame in Cleveland. The best is yet to come.